In a time of the “Big-Box Chain Stores” that sell everything from paper, pens, copies, calculators, folders computers and office furniture, with a do it your self and ready to assemble line business model, NorthPoint Office Furniture has flourished. 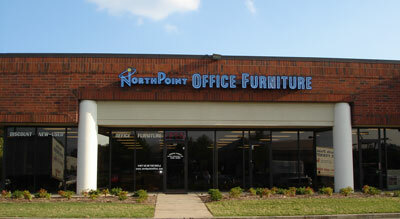 In late 2005, NorthPoint expanded its showroom again to provide a greater selection of office furniture options for our customers. We feel that for us to provide the best customer service, we must be very selective in hiring good employees and treating them well- as we would want to be treated. We strive to select employees with good character, who are willing to work hard, team players, and customer oriented so that they will also treat our customers well. We believe in integrity in our dealing with customers, suppliers and employees. Northpoint strives to build long term relationships with our employees, customers and suppliers, and takes these relationships very seriously. Service is what differentiates our company from the many choices customers have today for their office furniture needs, and if something is not right we want to know about it-and will do what ever possible to make it right.